A Morbid Taste for Bones. A Mediaeval Whodunnit - Ellis Peters (Pseud. 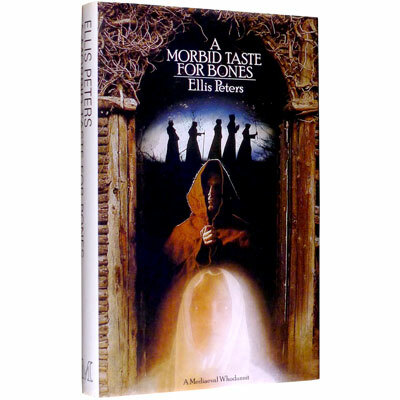 Edith Pargeter) 1977 - MacMillan London Limited, London - First Edition	First edition of the first Brother Cadfael mystery, set in twelfth-century Britain. After leaving his home in Trefriw, Gwynedd, apprenticing with an English wool merchant and participating in the First Crusade and other adventures, Cadfael ap Meilyr ap Dafydd returned to England and joins a Benedictine monastery in Shrewsbury as gardener, herbalist and occasional translator. Yes, he is Welsh, and yes this is a fine copy, with none of the toning to the spine usually encountered.